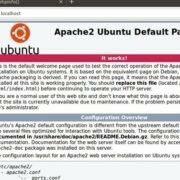 This tutorial is all about the commands you need to know how do you start/restart an Apache 2 Web Server and MySQL server on Ubuntu or Debian Linux operating system. The Apache web server is the light and most popular open source web server use worldwide on Linux based operating system. 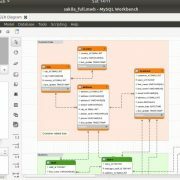 It can be installed on Ubuntu with a single command to handle both dynamic and static content web pages. Most of the WordPress and other popular CMS uses it as a Web server. Furthermore, when you want to create some online application or website then you also need a database software to store all your content and here the MySQL comes in. 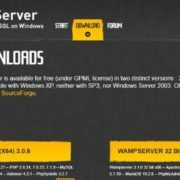 It is also an open source database system software that can install on any Linux operating system with ease. If you are new to both then you can look at our tutorial which let you know how to install Apache, MySQL, and PHP on Ubuntu Linux. The below-given commands will work on all Ubuntu and Debian based Linux operating systems no matter where they are, it could be on your local PC system or a hosting or cloud services like AWS, DigitalOcean, google cloud and more..
Commands to execute on Ubuntu terminal to restart the Apache web server. If you are using the Ubuntu 15.04 or above then you can also use the below commands to start/restart and stop the Apache web server. 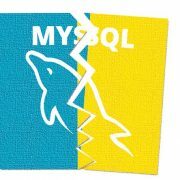 Use any of one given below to start the MySQL, if it in a stop state. To restart the MySQL Ubuntu Linux server use the commands in terminal.